A friendly at the Hirschanger against Tegernsee with a pleading request from “Watch out for Igor” for everyone to turn up promptly at 12 noon to get the ground ready. In the days when people use mobiles rather than wrist watches, clearly 12 noon suffers from different interpretations but it really should never mean 20 minutes past twelve. Skipper Weston had pulled a Hammy the night before, apparently not fleeing from an irate male and at the Chinese Tower after the match regaled us with colourful stories of the effect of taking three magnesium powders. Anyway, pulled Hammy or not he lost the toss in true tradition and MCC were asked to field. We had only 10 players but that shouldn`t have been a handicap. Teas were provided by Chakrabarthy and, somewhat unusually, he brought along some fresh butter whereas we usually go for BBBJs. Judging by the catching performance everyone had been raiding the butter dish for not one catch of the six or more opportunities was taken. Scott and Alagh opened the bowling for MCC and Scott got the first wicket with the score on 31 in the 7th over. Penjuri and Konchada were the first change pair. They took four wickets between them including John Edward Turner Brunskill who went LBW for 3. Miller took a wicket with his first ball then made a determined effort to top the wide boys table headed by Gattinger. Gattinger though was happy to concede defeat and in his three overs, one of them a maiden, bowled only one wide. Tegernsee were all out for 164, including 29 wides, in 35 overs. We had a spectator, Andy Ward and his girl friend Heather from the St. Andrews University Staff and Post-Graduate CC. Andy lives in a small village next to Elie who will visit us in September. Do we have a tour to St. Andrews on the book now? The golfing members including Captain Oates of Zuoz fame will be interested. After teas MCC opened with Mitchell and Kantor, with Kantor looking to displace Michahelles in the duck race. 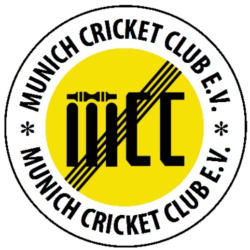 It wasn`t to be though and they put on 23 before Mitchell went for 11, bowled by Maxi Hoeck to be followed shortly after by Kantor, bowled for 12 by Yash. They were replaced by Alagh, the only new entry in the duck race and Konchada who top-scored with 34. Chakrabarthy and Penjuri played a test match partnership taking 37 balls for their combined nine runs and with the score on 81 for 6 down and 10 overs to go it was looking a little serious. Not serious enough to condone Gattingers hilarious reverse sweep attempt, the first time he has tried it in his own words. It should be his last was the general opinion. Konchada fell in the 27th over leaving Miller and Scott to try to save the day. Scott went for three and, because of the captains Hammy, was allowed to bat twice scoring another three leaving Miller stranded and MCC all out for 112. 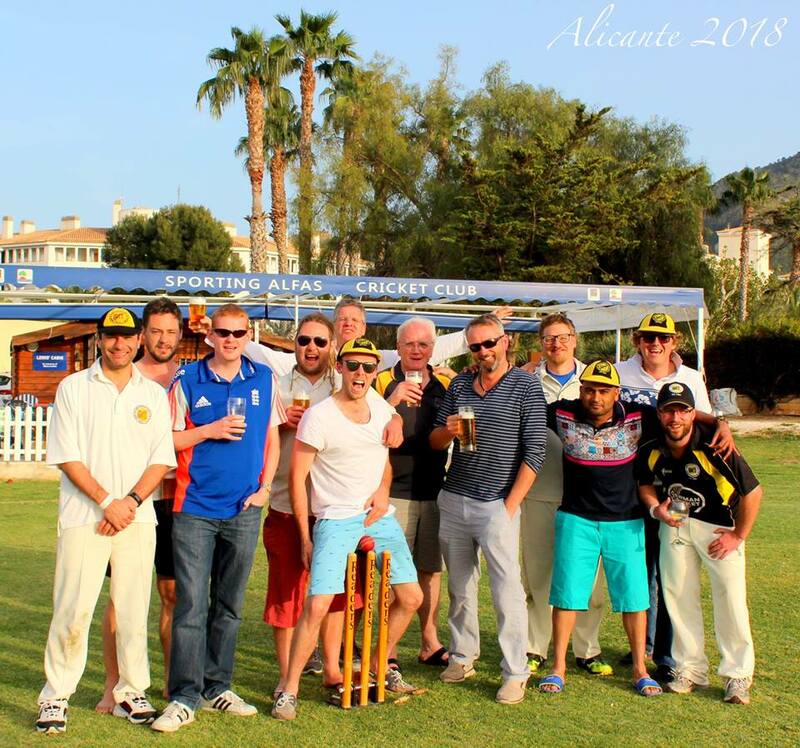 It had been a super friendly match and we are looking forward to the return fixture on 23rd August.